In New Jersey, when a driver is stopped by a law enforcement officer on suspicion of driving while intoxicated, there are certain procedures that must be followed before the breathalyzer test is given. When the stop is made the officer must have a valid reason to make it. If a vehicle is moving erratically, swerving or breaking traffic laws, the officer can investigate. As the officer interacts with the driver and asks to see the driver’s license, registration and proof of insurance, a study of the driver will also be underway. If the driver shows signals of DWI such as glassy eyes, slurred words or the odor of alcohol, the officer will have reason to investigate further with field sobriety tests and a breathalyzer test. Breathalyzer tests have been used since the 1950s as a method to determine how much alcohol is in a driver’s system. For a driver to be arrested on DWI charges, he or she must register 0.08% or above on the breathalyzer test. If the driver is under the age of 21, registering 0.01% will result in an arrest. For a commercial driver, 0.04% will lead to an arrest. Prior to the test being given, however, there are certain procedures that the officer must follow. A driver must be observed for 20 minutes prior to the test being administered. This is to ensure that the driver doesn’t regurgitate, chew gum, smoke a cigarette or do anything that might compromise the accuracy of the test. If this is not adhered to, the test will not be accepted as valid because it can lead to inaccurate test results. When the test is given, the subject will be asked to breathe into the machine on two separate instances. Two minutes will elapse between these actions. In between the tests, the machine will purge alcohol remnants that might have been present. This is to get an accurate gauge on the subject. The two test readings are calculated by the machine to give a result. 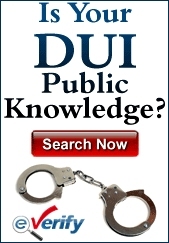 If it comes up as 0.08% or above, an arrest will be made for DWI. The Supreme Court of New Jersey determined that the breathalyzer tests given by the state are deemed to be accurate when the test is given correctly. However, if mistakes are made by the officer or if the machine is not properly calibrated, then the results could be called into question. An officer must have the proper certification to give the test. An improperly calibrated machine cannot be trusted to give fair results. A common argument made by defense attorneys is that the machine is antiquated and is not reliable. Although the breathalyzer has been ruled to be an accurate method to gauge blood alcohol content (BAC), the machine is expected to slowly be replaced in the coming years by different methods to determine BAC. 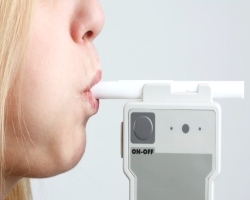 How Can Breathalyzer Results Be Challenged? While a failed breathalyzer test might leave a person facing charges for DWI concerned that they have no chance of winning a dismissal or acquittal, there are strategies that a defense attorney can use to try and win the case. First, there is the traffic stop. If the stop was made without just cause, then everything that happened after the stop was made could be found as inadmissible. This is true regardless of what happens when the officer speaks to the driver, possibly gives field sobriety tests and then the breathalyzer test. As mentioned earlier, with the breathalyzer tests, there are rules that the officer is required to follow to make the test admissible as evidence. The accuracy of the test can be negatively influenced by violating the 20 minute rule. A common strategy used by defense attorneys, apart from checking to see if the above rules were adhered to, is to see if the machine was working correctly, had been calibrated and can be trusted to have yielded an accurate result. The officer must be certified to give the test. Without that certification, the test cannot be treated as reliable. New Jersey drivers who are concerned about the accuracy of a breathalyzer test are currently trapped within the current laws. They are not allowed to refuse to take the test due to the law of implied consent that states a driver must take the test when asked to do so. Refusal is a violation in and of itself. Although many attorneys have long questioned the fairness and accuracy of the breathalyzer test, they are still being utilized. With that in mind, other techniques must be used to call the results into question and win a favorable result in the case.